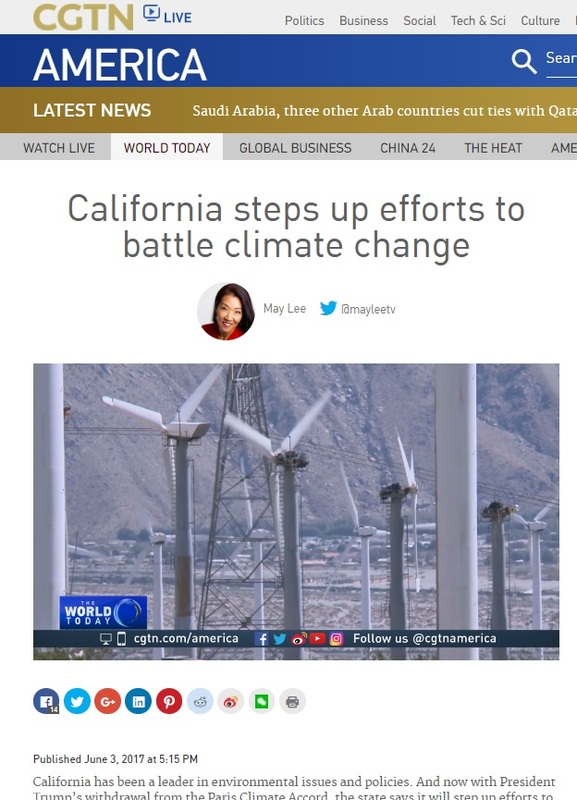 Several media outlets have recently noted that Los Angeles (and California) have developed a significant and growing “greentech” and “cleantech” industry. Not only are these industries creating well-paying jobs, the recent news cycle is increasing awareness that California is taking a global leadership role on sustainability solutions, which may increase export opportunities for businesses in these industries. 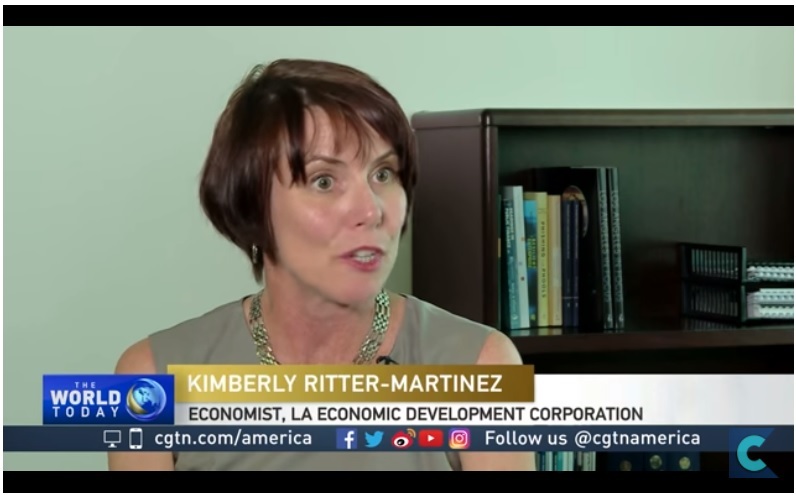 On the left, China Global Television Network interviews LAEDC Economist Kim Ritter-Martinez. 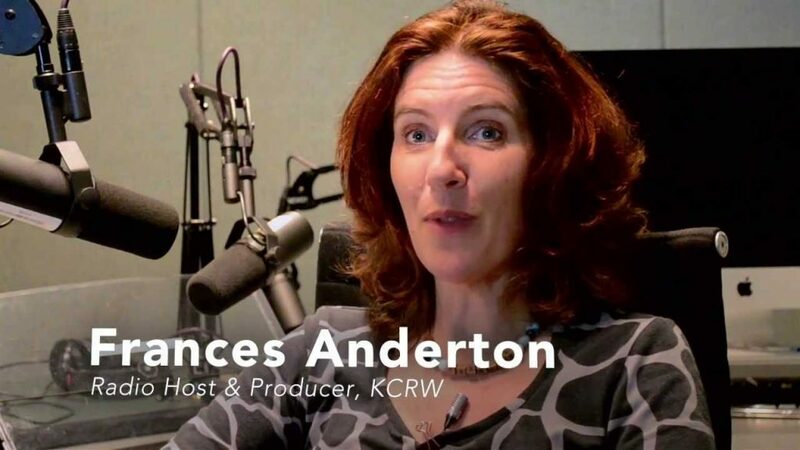 On the right, LA-based NPR affiliate KCRW host Frances Anderton interviews Jeff Joyner, co-chair of LAEDC’s e4 Mobility Alliance, on the DnA show about the growing electric bus manufacturing industry cluster in L.A.
California businesses and researchers have been very active developing many types of products, services, processes, technologies, and intellectual property to serve our region’s needs to meet regulatory or solve our own market needs related to sustainability. These range from advanced transportation, water tech, renewable energy, low-impact chemical processes, emissions tech and more. Now that we have a strong foundation in developing and selling these things here in LA and California, we have a global competitive advantage and positions our region to serve the increasing global demand. These industries create well-paying jobs, and opportunity for all people in our region.